“Space… the final frontier.” What started out as a five year mission became over 40 years of intergalactic adventures — and now Star Trek is once again going where no one has gone before! 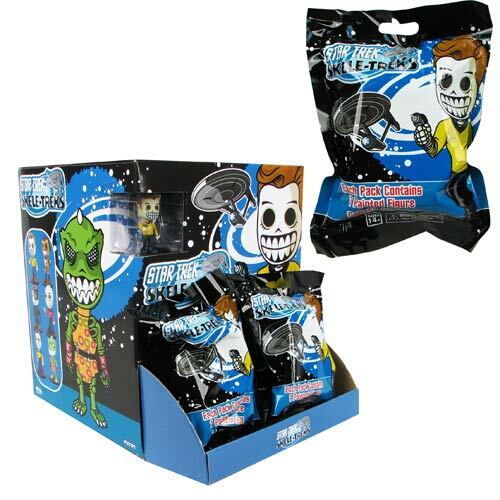 Skele-Treks combine urban vinyl with the Mexican tradition of Dia de los Muertos for a lively and colorful look that collectors will love. 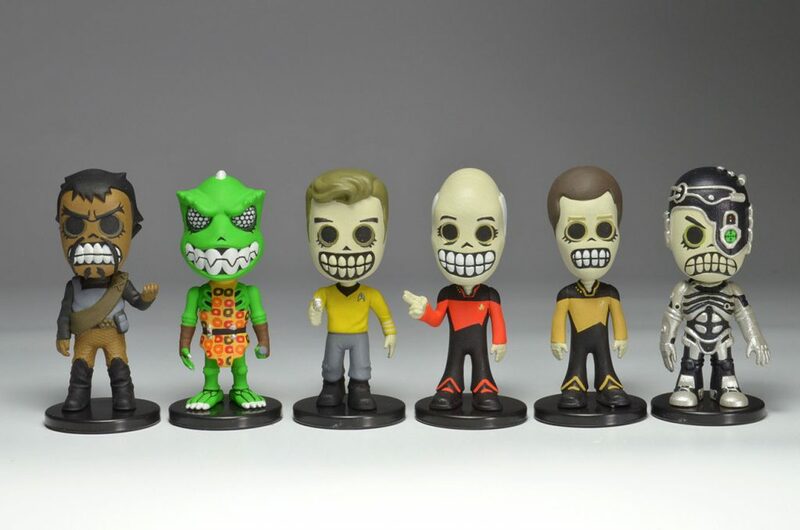 The first series of 2″ mini-figures includes Captain Kirk, Borg drone, Klingon Commander Kor, Captain Picard, Data and Gorn. Each hand-painted figure features an incredibly detailed sculpt and comes on a 1″ round display base.